Michael Nowak was born in Poznen Poland in 1864. Sophie Nykiel was born in Poznen Poland in 18xx. 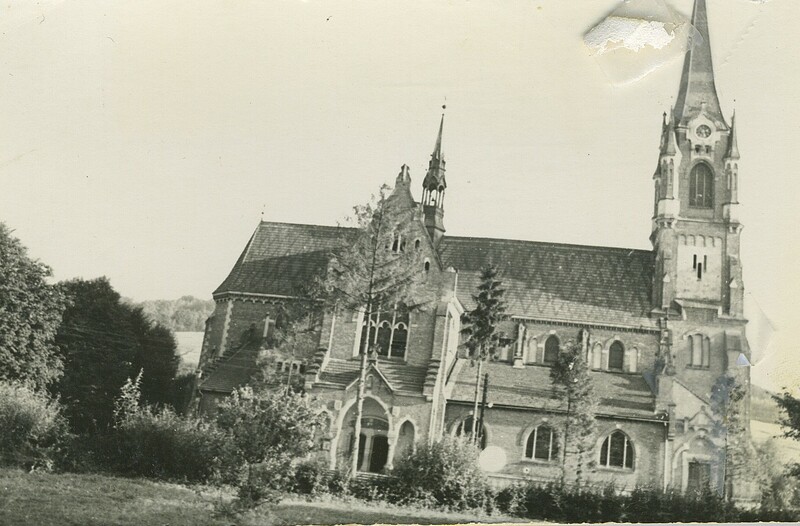 They were married in St Mary’s Catholic Church on August 5, 1987 by Father Litwora. They resided about 4 miles south of Bremond, Texas. They lived in a small wooden home with no electricity and indoor bathroom. They raised ten children and all but two moved to Houston or Beaumont before age 18 to find employment and assist their parents with raising remaining children. 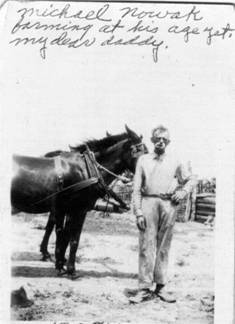 Michael farmed his land with horses and also went through the Depression and WWI and WWII. After all children left home, Michael and Sophie also went to Houston in 1944. They lived with couple of their children’s families in the Heights area. Mary Nowak (1st child) was born August 6, 1898. She married Adam Andryan and lived in Houston. Their children were Sudie, Theresa, Dorothy, Tutsie and Tina. He loved to make trips back to Bremond to go fishing in Willow Creek with a cane pole. John Novak (2nd child) was born Jan 14, 1900. John moved to Beaumont and married Verna. 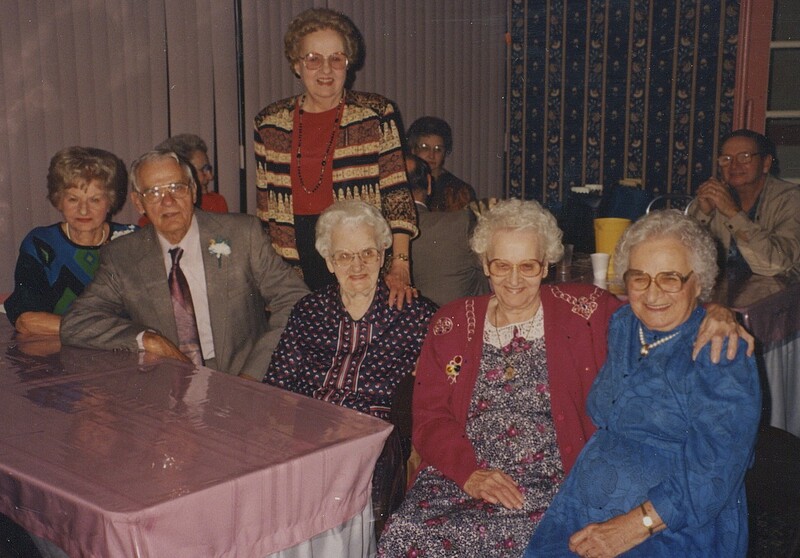 Their children were Sophie, Leona, Willie Mae, Billy and Sonny. Josie V Nowak (3rd child) was born Jun 23, 1902. 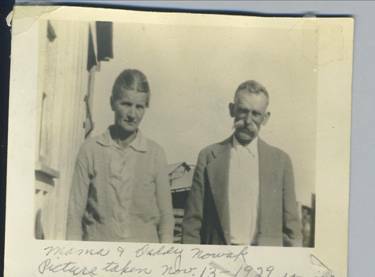 Josie married Stanley B Bielamowicz on May7, 1899 and lived in Houston. They raised 4 children Leon, Sister Florence, Sister Julie, and Dolores. 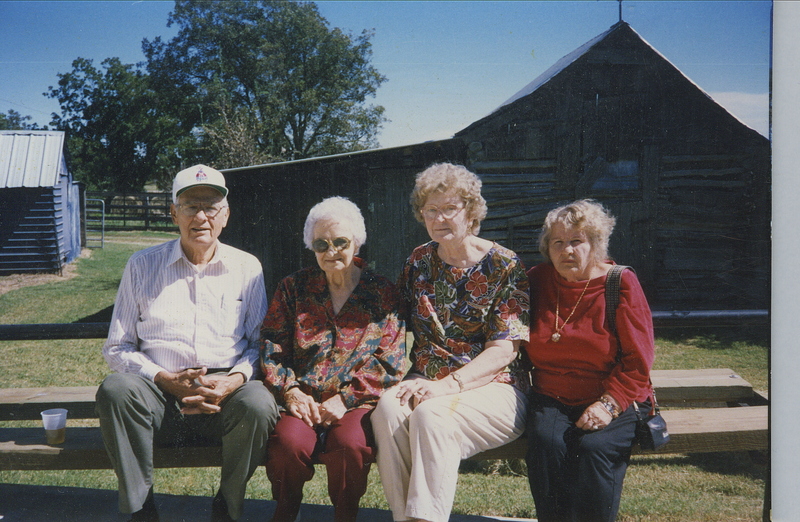 Josie was Godmother to Gene Okonski and therefore, made frequent visits back to Bremond to the “Okonski HomePlace”. Pete Nowak (4th child) was born Jan 11, 1906. Pete married Dell and lived in Houston. Their 3 children were Tony, Daniel, and Ronnie. Vicki Nowak (5th child) was born April 24, 1907. 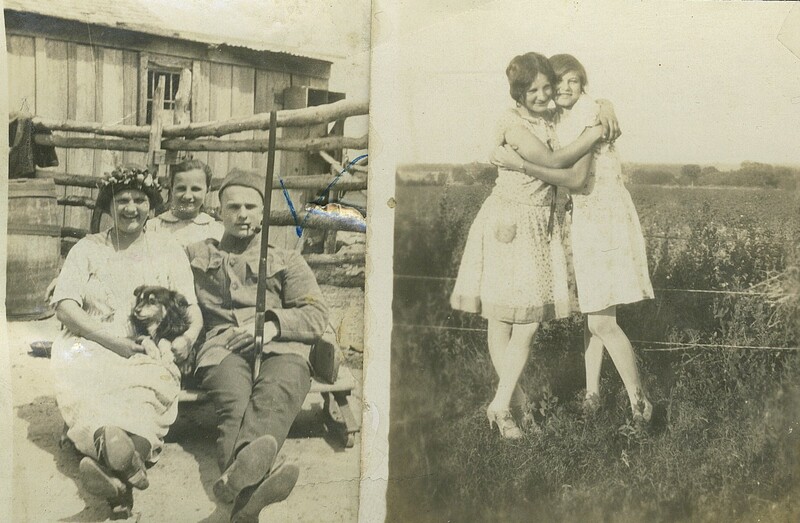 Vickie married Bruno Okonski and settled on a farm close to “Okonski HomePlace” near where he was born on Tidwell Prairie. They raised three children : Robert, Sophie and James. 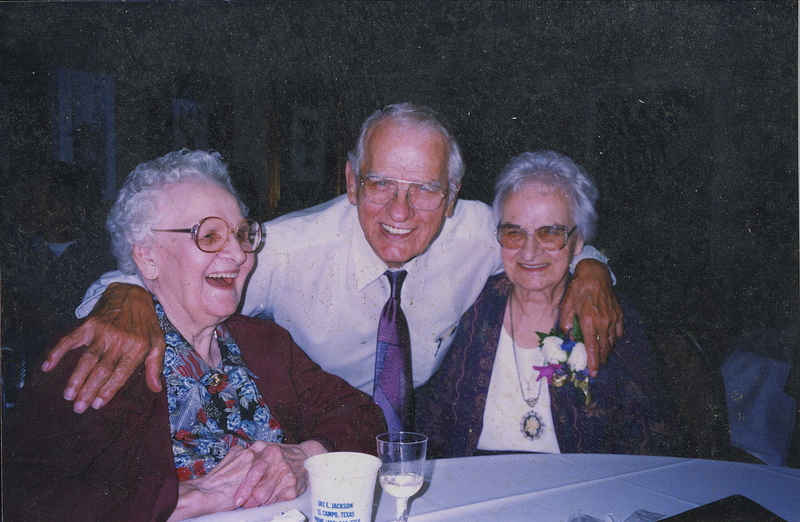 Vicki and children would visit Ed and Helen Okonski on a frequent basis since lived only a short distance away. Rose Nowak (6th child) was born on Sep 12, 1909. She married Ernest Butler and lived in Channelview, They raised three children: Jo Ann, Ernest, and Lavone. Helen Nowak (7th child) was born Mar 5, 1912. Helen married Edward L Okonski on November 12, 1929. Ed was Bruno’s brother and Helen was Vicki’s sister. 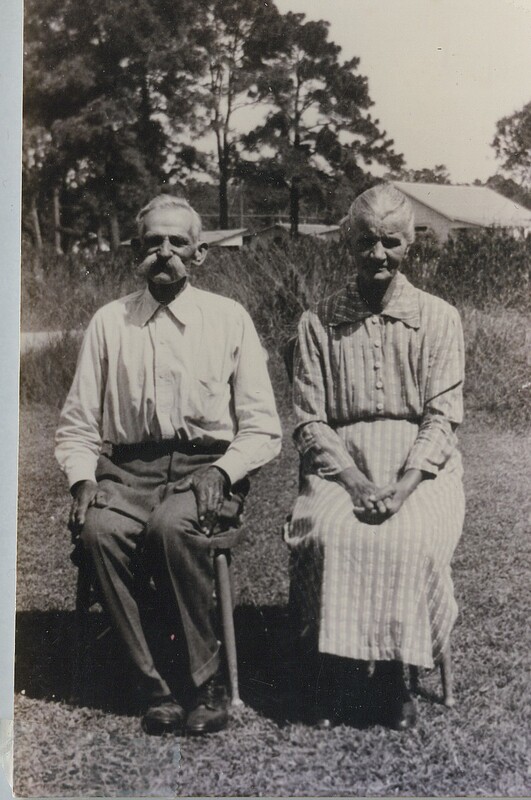 Ed and Helen lived at the “Okonski HomePlace” while their parents moved a mile closer to town. 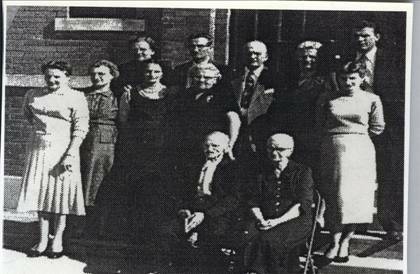 Helen and Ed had 7 children: Ed, Joe, Gene, Dolores, Larry, Mary Ann, and Helen. Ed and Helen moved on his 80th Birthday to N Main in Bremond. 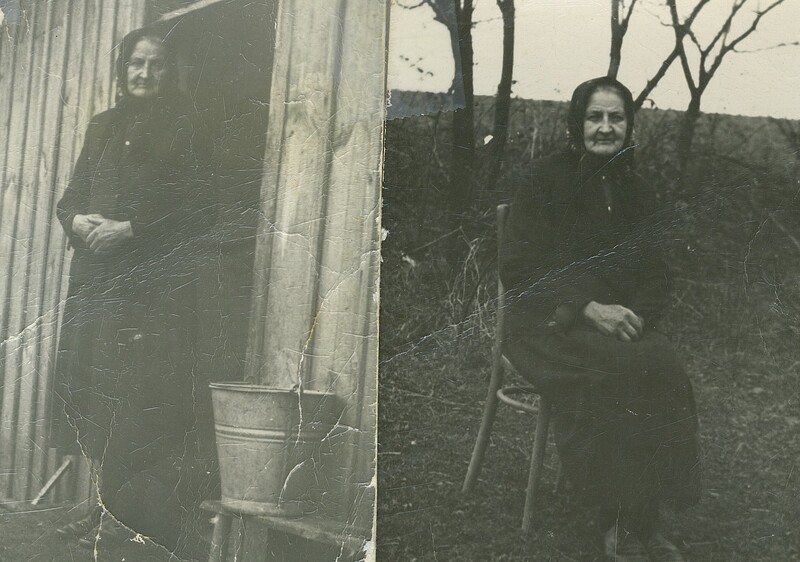 Gene Okonski continued the operation of the “Okonski HomePlace”. Connie Nowak (8th child) was born on June 27, 1914. She married Herbert Fulgham. Stanley Nowak (9th child) was born May 5, 1917. Stanley married Christine Kowalski . 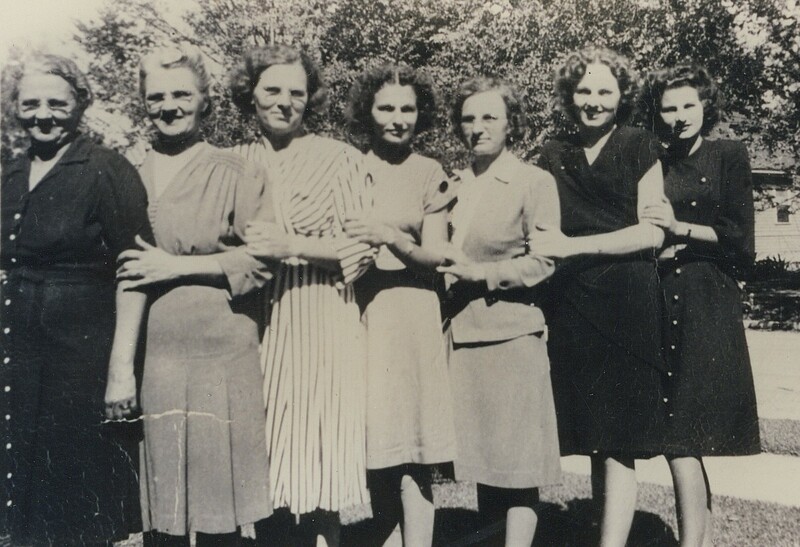 They resided in Houston and raised 5 children: Barbara, Virginia, Jerry, Keneth , and Eugene. Ann Nowak (10th child) was born July 11, 1921. Ann moved to Houston and married Robert Gleason. They raised 3 children Bob, Billy and Joey.